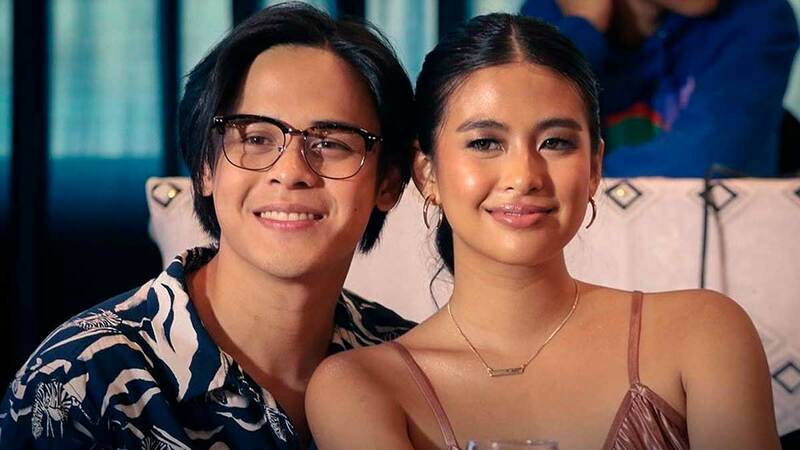 Over the past months, Gabbi Garcia (who just got a chic new haircut, BTW) has been posting teaser photos of her upcoming musical film called LSS (Last Song Syndrome) with boyfriend and now leading man Khalil Ramos. Gabbi and Khalil went public about their relationship in July 2018 and this marks the first time that the couple will be working on a film together! LSS is one of the official entries to the 2019 Pista Ng Pelikulang Pilipino film festival and is being produced by Globe Studios. Through an Instagram post, Khalil teased his girlfriend with his caption. According to him, this is what Gabbi was saying—and feeling—when they took the photo: "OMG IM SO NERVOUS WTH I can't believe it we're in a press con together it's so weird why are we working together? Smile for the camera [grinning face emoji]." Gabbi commented on his post, saying, "HAHAHA ACCURATE," so Khalil's rendition of her reactions to their new project must be true! Since LSS has music at the heart of its story, the film will also feature indie band Ben&Ben and actress Tuesday Vargas. The movie will revolve around the story of Zak (Khalil) and Sarah (Gabbi), two individuals with an intense love for Ben&Ben's music. Does this mean we'll see the couple as a fangirl/fanboy? We can't wait to find out!